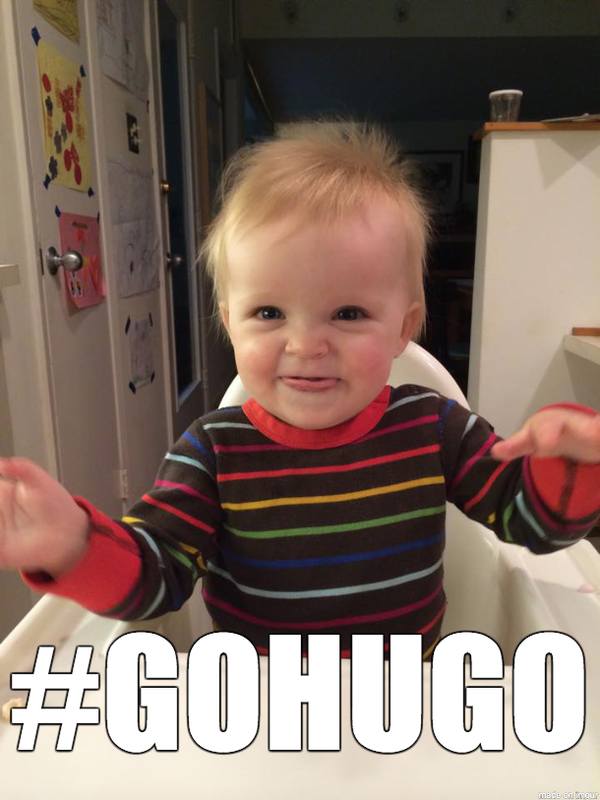 Looks Good from the Back: Friday #GoHugo and an Update. I rarely post but just had to today- This is wonderful news. I hope things continue to go well. Go Hugo! That's our little fighter - you go, Hugo, you just go and go! Yay! Go Hugo! So happy to hear this. Amazing. So happy to hear this great news! Go Hugo! This news brought tears to my eyes. My mother just endured chemo & (successful) surgery for her 4th bout with ovarian cancer and I can feel your relief and joy. Will keep sending prayers and positive thoughts. Go Hugo! That is miraculous and joyful news. Thank you for sharing it with us. Go Hugo, go Hugo's doctors and his family. Truly amazing. I am beyond elated for you, your family and the bravest little boy ever! Amazing. So happy for you and for Hugo. What strength and courage you all are showing! It always amazes me how resilient kids can be. Thanks for updating us. I know this is not easy for Hugo and your family but am so glad you have good doctors and good progress. May you have a wonderful Christmas and a healthy 2015 to look forward to. This is such wonderful news! Sending you lots of continued strength. Go Hugo!!! This is awesome. Truly. Here's to continued successful treatment, and good health. Go Hugo! Amazing and wonderful news! Go Hugo! Inspiring story! I live in greater Cininniti and feel fortunate to have such a wonderful facility so close. They are the best! G-d Bless you all. My daughter 8 year old Jordan is a 3 year post-chemo survivor of B-cell Leukemia, a much more common cancer than little Hugo has, but the agony you are facing brings me back to that dark time... My heart goes out to you--we are all pulling for you. Praise God! What wonderful, amazing news! I am so happy for you all.